Today's the last day of this subject. 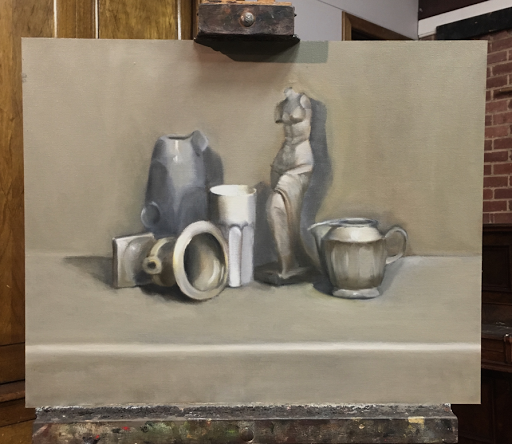 I tried to refine subtle tonal differences between the objects. I have to say, it's been very difficult, but, I've learned a lot.